Some great captures on Harlaw to start us off in 2019! There have been a couple of pre-season stockings which meant there were plenty of fish to be caught on opening day. We had 40+ anglers on the banks at one time or another through the day, and lots of fish landed. A nice surprise was three of the large trout we stocked last June were caught, the best of 8lb. 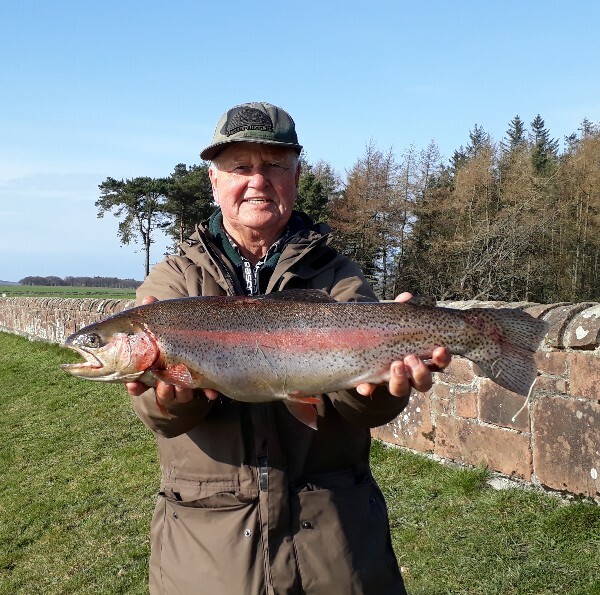 The picture shows Ronnie Robinson with a fine 6lb Rainbow trout. So despite the winter, high water temperatures and low water levels last summer plenty of fish have survived. Plenty of chances of another big fish or two over the coming season! We stock the fishery right through the season.